If you are one of those people who love glow in the dark items, you will most likely want to pick up Mobile Riot Gear's iGlow. 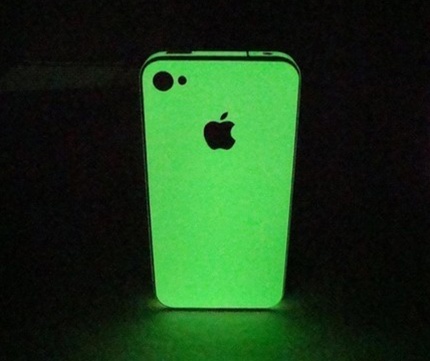 iGlow is a vinyl decal which glows green in the dark to help you find your iPhone 4 or maybe it will just make you insonomniac. iGlow comes in two versions, a full back and side vinyl for $14.95 and a two piece side band vinyl (which would be great for that annoying antenna reception) for $10.95. iGlow is now available from Mobile Riot Gear.